LETTER | Primary Industries Minister Teresa Kok’s call to manufacturers to add a “Love MY Palm Oil” label to local palm oil products and for Malaysians to consume more palm oil is no solution to the European Union’s proposed ban on palm oil biodiesel linked to deforestation. The minister’s argument that 40 percent of Malaysians in the palm oil industry are smallholders is also unlikely to move European parliamentarians. The issue is not that the European countries are unaware that the ban would disrupt the economy of the country and livelihood of smallholders. The European Union and its member states are proposing the ban precisely because they know economic pressure is the only way they can get palm oil producer nations to stop deforestation and prioritise environmental protection. Diplomatic persuasion has not worked, and voluntary consumer action takes too long to bear results. The proposed ban is their last resort in trying to influence environmental policies in palm oil producing countries. It is not disputed that palm oil is cheaper and more resource-efficient than other vegetable oils. Alternative vegetable oil crops such as rapeseed and soy may use up to 10 times more land than oil palm. However, merely pointing out that other vegetable oil crops are just as damaging and destructive as oil palm, and alleging victimisation and protectionism on the part of European nations is hardly going to influence European nations’ and consumers’ perception of Malaysian palm oil. We can only remove the stigma of deforestation by actually ending deforestation, not by pointing out that deforestation also occurs elsewhere. The appropriate response to the proposed ban is to take transparent, credible, and measurable steps to reduce deforestation and other environmental and human rights impacts of palm oil. The problem with both the Roundtable For Sustainable Palm Oil (RSPO) and Malaysian Sustainable Palm Oil (MSPO) certification systems is that the international scientific and environmental communities do not endorse either certification as being trustworthy. The main criticism against the MSPO is that the organisation playing a vital role in its formulation and moderation is the Malaysian Palm Oil Board (MPOB), which clearly is invested in oil palm cultivation and expansion. This naturally gives rise to allegations of conflict of interest and lack of independence and impartiality. As for the RSPO, only in late 2018 did it adopt new standards prohibiting the clearing of any type of forest for oil palm cultivation. Previous standards did not protect peatlands or landscapes with High Carbon Stock. Reports exist to support the claim of malpractice and corruption by RSPO auditors. Considering that the RSPO, which is the world’s only global palm oil certification system, is unable to achieve what it is set up to do – namely, ensure sustainability, human rights, labour standards, environmental protection and respect for the law – it is highly doubtful that the international community would perceive the MSPO as having higher standards of transparency and effectiveness in protecting the environment, indigenous communities, and wildlife than the RSPO. In fact, the findings of environmental organisations confirm that MSPO scores even lower than RSPO on safeguards pertaining to the fair treatment of smallholders, protection of indigenous communities and access to remedies. How is the MSPO labelling expected to inspire consumer confidence when its standards are even lower than that of the RSPO? Malaysia should instead adopt the independently verified standards that are being trialled by producers in the Palm Oil Innovation Group (POIG), a collection of NGOs including Greenpeace and progressive producers that aim to provide independently verified, responsibly-produced palm oil. These standards use the RSPO as a basis, but establish additional requirements on palm oil producers including to assess and protect peatland and forested areas in their concessions. The call to clean up the Malaysian palm oil industry is not a form of bullying or green protectionism or an attempt to undermine and destroy the Malaysian economy. Environmental organisations and indigenous communities should not be harassed and ignored in our attempts to highlight the environmental harms linked to oil palm cultivation. Environmental organisations are not calling for a halt on economic growth or the loss of employment opportunities, but the proper management of natural resources and protection of forests, wildlife, labour rights and indigenous rights. Malaysia has to recognise that there is a problem, not merely that of image or marketing, and rise up to be part of the solution. Satellite data does not lie and reveals that logging and deforestation continue to take place wherever there is oil palm cultivation and expansion. Between 2001 and 2017 alone, Malaysia has lost 7.29 million hectares of tree cover to oil palm cultivation. Even local media does not shy away from reporting on wildlife deaths, including those of charismatic species such as tigers and elephants, linked to oil palm cultivation. 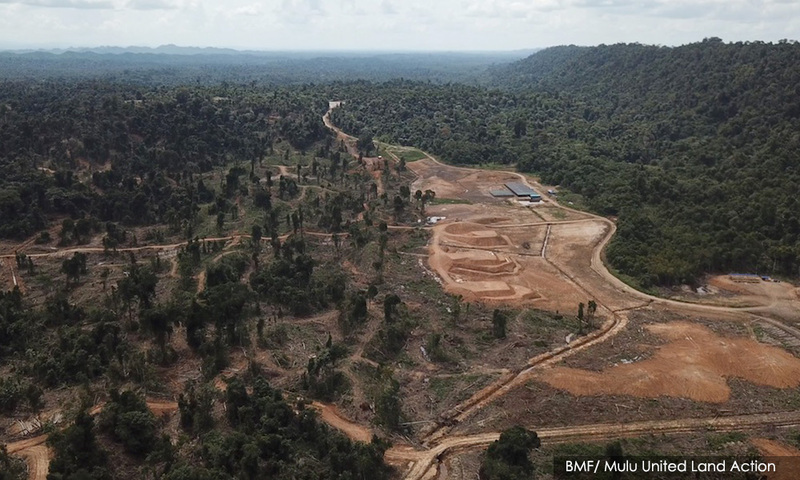 And news reports have surfaced of conflicts between indigenous communities in Sarawak and an oil palm company that was issued a permit to carry out logging next to the Mulu National Park. Until there is clear, solid and reliable evidence to support our claims of environmental sustainability and protection of human rights, no amount of labelling and marketing can alter how the international community perceives the Malaysian palm oil industry. Instead of issuing ultimatums and threats to European nations and trying to increase the domestic consumption of palm oil, Malaysia needs to prove to the world that oil palm can be grown and produced responsibly and make a genuine contribution to the Malaysian population and environment. A willingness to acknowledge the need to improve and to make sincere and genuine efforts to protect the environment, wildlife and human rights is a better indication of patriotism than merely a willingness to consume more locally-produced palm oil. WONG EE LYNN is a member of the Malaysian Nature Society’s Selangor branch.